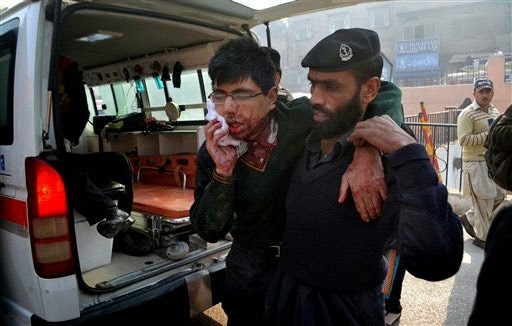 We condemn the terrorists attack over Army Public School in Peshawar which is such an act of brutality which has no example in the history of human history. But is not this the time for govt. to decide whether govt. has to continue its politics or ignore minor issues and end terrorism? Because if country remains; the business of politicians would run as well as govt. 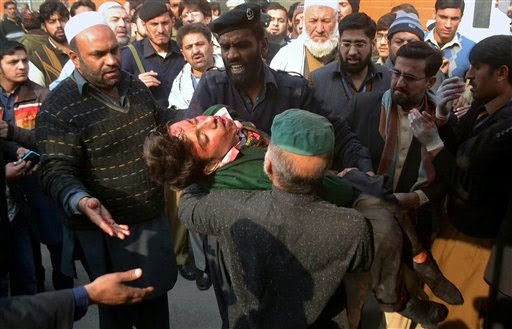 Although our rulers announce war against terrorists but practically remain indifferent. 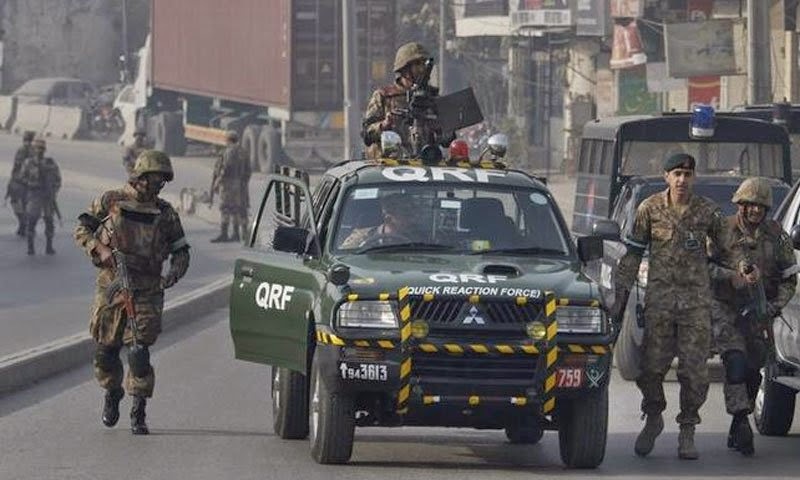 At this time country is facing war but this war is being fought by armed forces and intelligence agencies alone while politicians are busy in their fight for power. Police and other civil law enforcement agencies are busy in providing protection and protocol to elite class and their children. This is the need of the hour that govt. announces state of EMERGENCY, unite all political parties for single national agenda i.e. end of terrorism and devote all efforts or resources for this national agenda. I have several times said here on these pages that Hindu RAW is the mastermind of the terrorism in Pakistan. India is worried over the decreasing role in Afghanistan especially due to the successful visit of General Raheel Shareef of USA and would resort to start a new wave of terrorism (which may include terror attacks within India as well). In such a situation govt. should end all types of trade with India unless India does not stop terrorist activities in Pakistan. The time of claims, lame excuses and false statements has passed this is the time to take decision, a national decision which gives clear message to the terrorists that there time ends here; they will find no place in Pakistan. A message to terrorists within Pakistan but terrorists and their supporters in India as well that either stop war against Pakistan or get ready to face the reaction.